1. Power problems: General Electric has embarked on a sweeping makeover aimed at returning the iconic company to greatness. Wall Street loved GE's decision to break itself apart by getting rid of its health care, oil and gas and locomotive businesses. The beaten-down stock enjoyed its best day in three years as GE (GE) promised to simplify itself and clean up the debt-riddled balance sheet. But these bold steps to further shrink GE's empire mean that the remaining company will be even more exposed to trouble in its biggest problem areas: power and banking. Fresh evidence of GE's power problems will get revealed on Friday, when the recently ousted member of the Dow reports earnings. Expectations are low: GE has lost one-fifth of its value this year, on the heels of a crash of nearly 50% last year. GE Power, which makes and services gas and steam turbines, has been crushed by the rapid rise of renewable energy. Orders and prices for fossil fuel equipment have plunged, forcing GE to lay off 12,000 workers. Cowen & Co. analyst Gautam Khanna predicted that GE will disclose a 65% plunge in earnings from power. The company's renewable energy division, which isn't being sold off, is too small to make a dent in the overall bottom line. "Power remains challenged (to put it mildly), with little hope of a near-term recovery," Deutsche Bank analyst Nicole DeBlase wrote to clients last week. That's a problem because GE Power isn't going anywhere. It'll remain the largest division by revenue after GE completes its transformation. And troubles at GE Power will no longer be masked by strength from one of the company's crown jewels: the health care juggernaut that is being spun off. "GE's recently announced break-up places a ceiling on the stock until the power segment's turnaround effort gains more traction," Khanna wrote. The bright spot at GE is undoubtedly its soaring aviation business, which makes and services jet engines. Sales are expected to rise, driven by strong orders for GE's LEAP engine. The biggest mystery surrounds GE Capital, the financial arm that nearly destroyed the company a decade ago. GE Capital shocked Wall Street in January by disclosing a $6.2 billion loss in the long-term care insurance business. The news caught regulators off guard as well, prompting an SEC investigation. Now Flannery is trying to get rid of the troubled insurance portfolio as well. GE could also offer more details about the federal investigation into WMC, its subprime mortgage unit. GE has set aside $1.5 billion to cover potential losses and it recently warned it could put WMC into bankruptcy. Will more shoes drop at GE? 2. Amazon takes over the internet: This year, Amazon's annual Prime Day will start on July 16 at 3 p.m. ET and last for 36 hours — a full six hours longer than last year's discount bonanza. This year, members can get deals at Whole Foods too. Prime Day means far more to Amazon (AMZN) than a one-day annual marketing play. Amazon uses the event to spotlight its own products and hook new members on its Prime subscription program. Other retailers have also started offering deals on Prime Day too. The coupon site RetailMeNot said that Prime Day 2017 was its biggest shopping day of the third quarter of last year. This year, Walmart (WMT) will offer a 3D virtual experience called "Buy the Room," and deals on school supplies. Target (TGT) also announced a one-day sale to rival Amazon on Tuesday for "everyone—no membership required." 3. Netflix reports earnings: It's been a banner year for the streaming service and content creator. Shares of the company have ballooned by more than 100% in 2018. And people are signing up for the service at a rapid pace. Netflix (NFLX) added 7.4 million subscribers in the first three months of 2018. It's now up to 125 million subscribers, and Wall Street analysts expect the company to add 5 million more subscribers. Some experts think the company may have peaked. UBS analyst Eric Sheridan downgraded his target on Netflix stock this week to a "neutral" rating from a "buy." He thinks investors are ignoring the risk that rivals could eat into Netflix's market share. Related: Is the binge over for Netflix stock? 4. Facebook, Google and Twitter face Congress: The House Judiciary Committee will question the three tech companies on Tuesday about how they filter content. Last year, the three companies were hammered by the Senate and House Intelligence Committees over their roles in Russia's meddling in US politics. More recently, Facebook in particular has had a hard time explaining how it handles fake news. But it's unclear whether the hearing will hurt the companies. When Facebook (FB) CEO Mark Zuckerberg testified before Congress following the Cambridge Analytica data breach, shares of the company soared. 5. Earnings to watch: Plenty of big companies are scheduled to share earnings this week. Bank of America (BAC) and BlackRock (BLK) kick us off on Monday, followed by Goldman Sachs (GS) and Johnson & Johnson (JNJ) on Tuesday, Morgan Stanley (MS) and American Express (AXP) on Wednesday. BNY Mellon (BK), Capital One (COF), Domino's (DPZ) and Microsoft (MSFT) are set to report on Thursday. 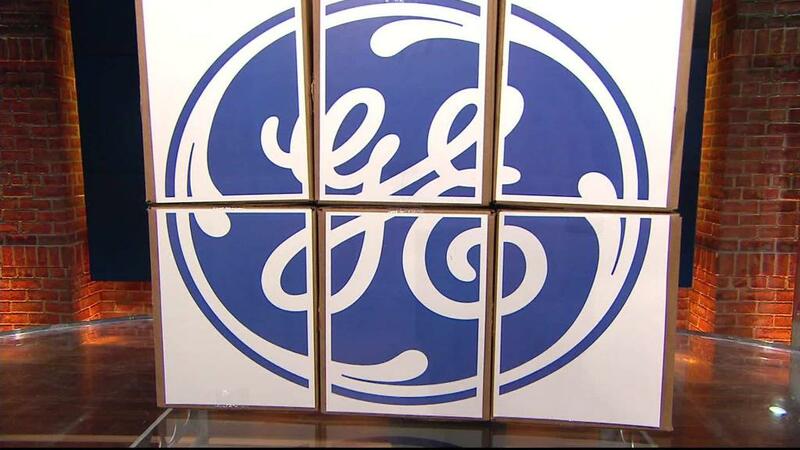 Finally, General Electric (GE) is coming on Friday.